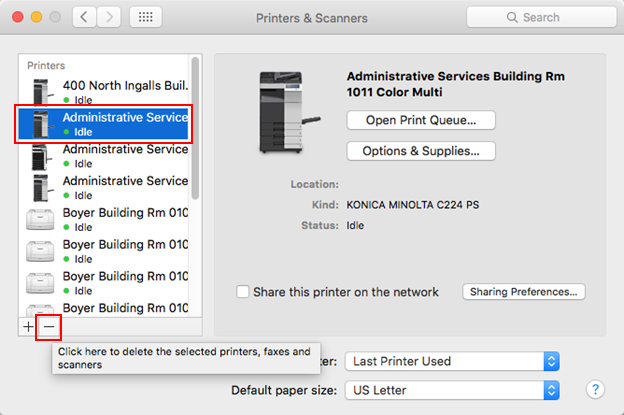 Note You can do this by opening System Preferences from your Dock, or by searching for Printers & Scanners in Spotlight. Click the printer you wish to remove under the Printers menu. 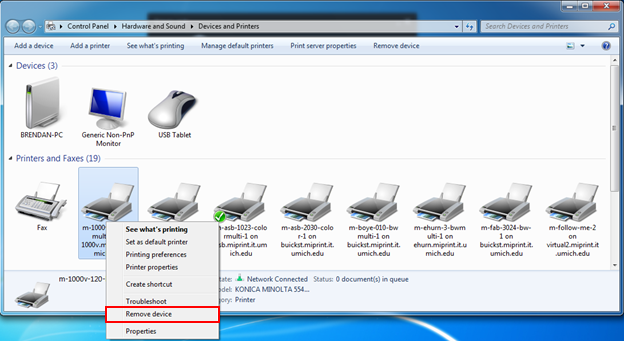 Note You can do this by searching for Devices & Printers, or it may already be an option in your Start Menu, listed directly below Control Panel. Right-click the printer you wish to remove.